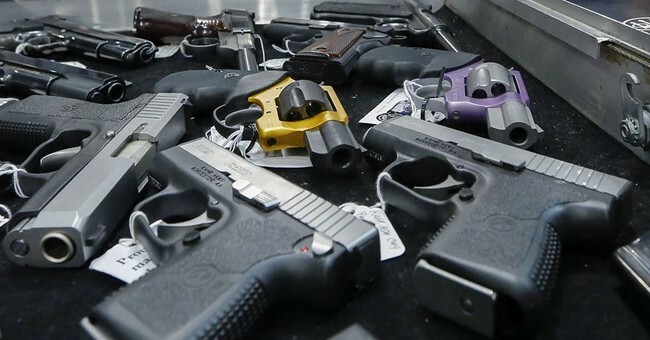 New York state Sen. Roxanne Persaud and Assembly Member Jo Anne Simon want to gut your right to buy and possess ammunition for your firearms, but they’re now trying to claim that they’re the ones being victimized. New York lawmakers are responding to what they call an “unacceptable” photo posted by a National Rifle Association publication. The image, published in an editorial in America’s 1st Freedom, shows photos of New York state Sen. Roxanne Persaud and Assembly Member Jo Anne Simon with four bullets beside them. The editorial focuses on a proposal by the New York lawmakers, both Democrats, to limit the sale of ammunition to gun owners. “If the NRA is so interested in our process, they should reach out to us,” Persaud told CNN. You ran for elected office of your own free will, because you have the desire to tell other people how they should live their lives. With that power and responsibility comes public visibility and the possibility of criticism. Some of that criticism comes in the form of words, but it has been common for centuries for politicians to be lampooned in print cartoons. More recently, this criticism has taken the form of photo illustrations, both amateur and professional. Many of these illustrations are mocking, mean-spirited and crude. This illustration is none of those things. The NRA photo illustration did nothing more or less than show pictures of the two politicians driving this legislation, along with the item they want to legislate. This is an incredibly common formulation, and is used for even the most mundane of proposed bills, including car registration. Perhaps it’s time for state Sen. Roxanne Persaud and Assembly Member Jo Anne Simon to climb down off their imagined crosses, stop imagining subliminal threats where none exist, and stop portraying themselves as the victims. The real victims here are the millions of gun-owning New Yorkers that this pair of shrill and sensitive pair of harpies would constrain with pointless laws driven by fear, ignorance, and hate.